Without bragging about myself too much, I am proud to say that I've lost 12 pounds and my glucose level has dropped 30mg. Mom has done a bit better than me. She's lost 13 pounds and her glucose level has dropped over 60mg. How did we do it? We've been cutting out sugar. Because we've ditched the unhealthy, sugar-filled snacks, we've been spending more time in the natural food section of the supermarket. It was in these aisles that I spotted Amy's Spinach Feta Pocket Sandwich ($2.50). Now, everyone that knows me knows that I love all things spinach and feta. I decided to get one and try it for lunch the next day. 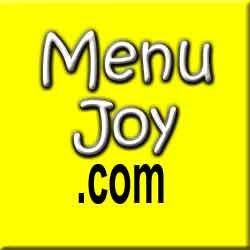 THE VERDICT: Great! 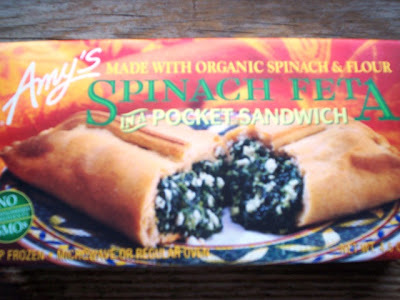 Despite the pocket being a frozen food item, the spinach and feta inside was surprisingly fresh. The organic flour wrap was tasty, but a little too bulky on top (where it folded over itself). With 11 grams of protein and only four grams of sugar, this pocket was really a healthy choice. I also like the fact that the Amy's company was started by a set of parents who wanted to provide healthy, frozen meals to people who were too busy to cook. I would definitely have this again and look forward to trying other Amy's products.